Baby showers are exciting celebrations for future parents, especially if the hosts are planning a surprise baby shower for the soon to be mom. 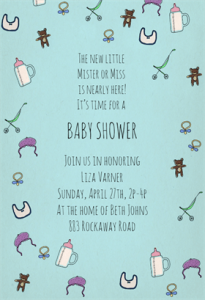 The first essential step to planning a baby shower is crafting the invitation letter. 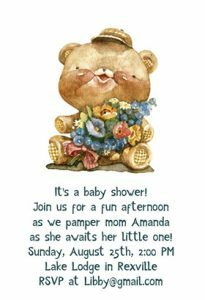 Baby shower invitations should be fun and welcoming, and reflect the parents wishes to celebrate the new family member’s arrival in a special and meaningful way. You can choose from our list of baby shower invitations templates below. 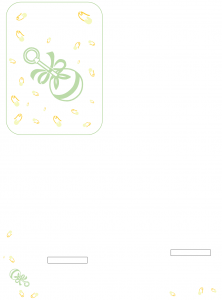 You can download and print them for handmade customization or you can simply edit them online and then print them. 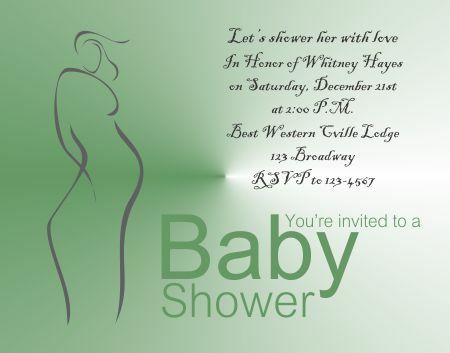 The invitations are available in PDF and Word formats and are really simple and easy to use. This gift clipart PDF baby shower invitation template from do-it-yourself-invitations.com is perfect for a baby girl’s shower. 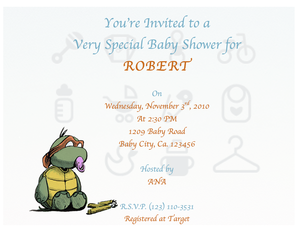 This downloadable and printable template featuring a cute baby turtle is available in word format on idealbabyshower.com. Simply download, print and customize to fit your needs! Featuring a clipart of the Incredibles baby, this is definitely one of the cutests baby shower invitations that I’ve come accross. It’s downloadable in word format. 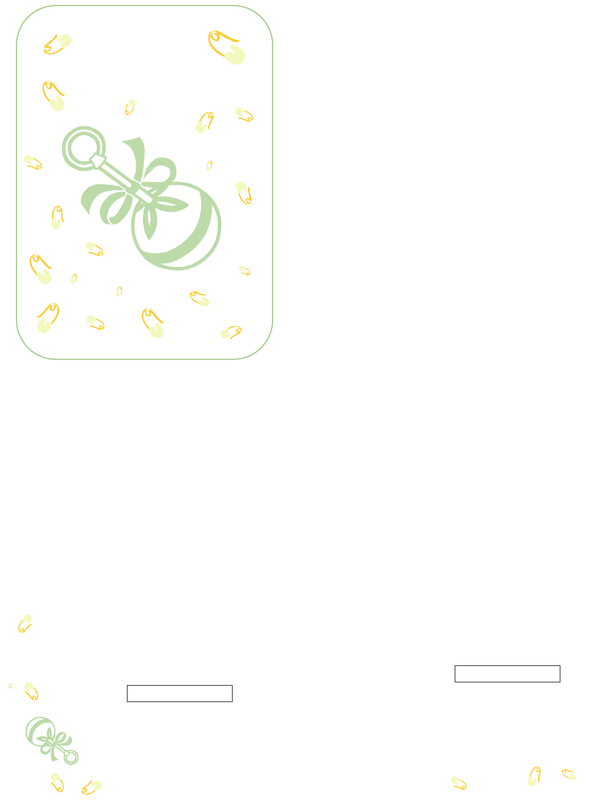 This lovely peach printable invitation template is available in Word format and can be edited by hand too. 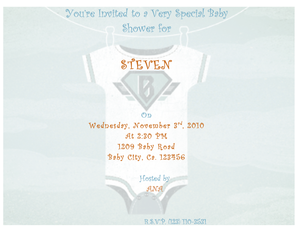 Perfect for a baby boy shower, this blue onesie free baby shower invitation is available in word format. 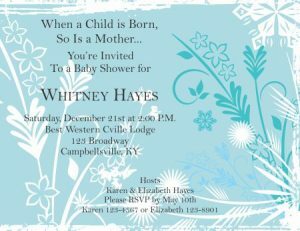 This is a simple printable word format invitation template that can be used for a baby boy or a girl. 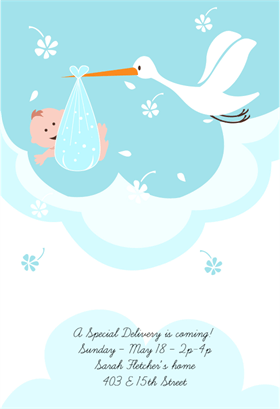 This is white themed shower invitation with a stork and baby giraffe watermark. This one’s perfect for a baby boy or girl shower. 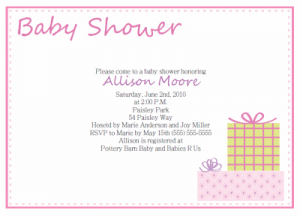 This is an incredibly cute pink baby shower invitations available in word format, perfect for baby girl showers. This downloadable word format baby shower invitation template can be used for either baby boy or baby girl showers. 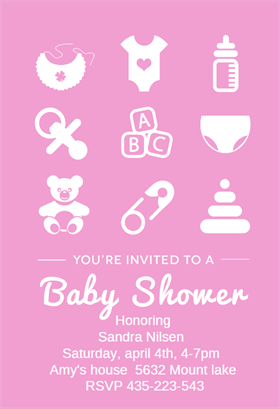 This wonderful printable baby shower invitation card features an adorable baby face in a red background. It is available in word format. This template features lovely words for the future-mom. 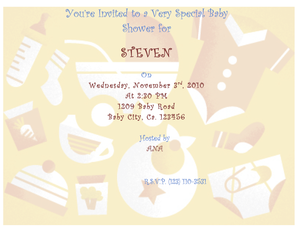 Templatetrove presents this free downloadable baby shower invitation in Word format. A lovely, wintery blue and white flowery backdrop makes this downloadable baby shower invitation template a perfect choice for winter babies. 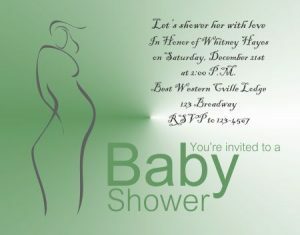 This simple printable baby shower invitation can be downloaded and printed in word format and edited by hand. This printable baby shower invitation from tidyforms includes a pink cover with a simple message letter inside. Available in PDF. This adorable flowery pink pram card by greetingsisland is perfect for lil’ girlie baby showers. A special delivery is coming! 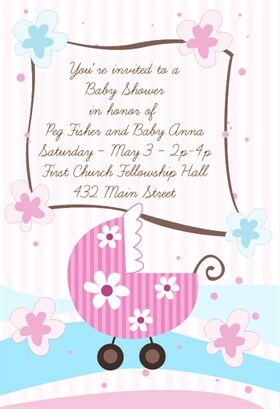 Check out this pretty baby shower invitation from greetingsisland and make it a special day for the mom-to-be. A border of bottles, bibs and more surrounds this lovely blue baby shower invitation template from. You can edit it online and print it. Perfect for baby girl showers, this template can be customized online and printed. Customize this cute brown bear printable invitation to fit your needs, then just download & print away. 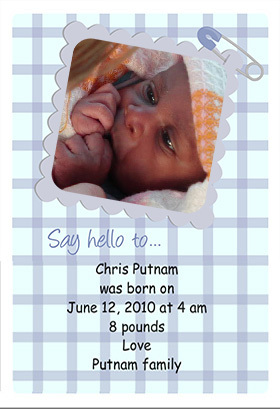 Add your adorable baby’s photograph to this personalized baby shower invitation from greetingsisland. You can edit it online and print it directly.